As two brothers are convicted of the manslaughter Damilola Taylor, an inquiry is to be held into how two blood spots from the schoolboy were missed by forensic scientists during the first investigation. After the first Damilola Taylor trial in 2002 ended with the acquittal of four boys, the Metropolitan Police was accused of going after the "usual suspects", despite little evidence. It had been a difficult case - there were no eye witnesses and it was said that the gang culture on the estate meant few people had been prepared to speak to police. So when he was appointed to head the new inquiry, Det Supt Nick Ephgrave sent most of the evidence, 250 exhibits, back to the lab. Rather than use Home Office agency, the Forensic Science Service (FSS) again, he sent the evidence to private company the Forensic Alliance, reasoning that it would be sensible to get "a fresh pair of eyes" on it. The painstaking process of re-examination began at the end of 2003. It led to a surprising discovery. Two spots of blood matching Damilola's profile, and fibres matching his trousers and jumper were found. Police believed they linked new suspects to the crime scene. Both Danny and Rickie Preddie had been arrested in the month after Damilola's death, but neither had faced charges. 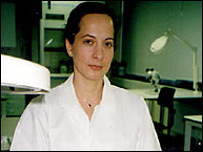 Forensic Alliance scientist Ros Hammond made the first discovery a year into the new inquiry - a spot of blood on the heel of a trainer which had belonged to Danny. It came back from DNA analysis showing a full profile which matched Damilola Taylor's - the chance of it coming from someone unrelated to Damilola was one in a billion. A fibre found in the stain was "indistinguishable" from those from Damilola's trousers and another blood spot was found, this time deep in the cuff of a sweatshirt said to belong to Rickie. 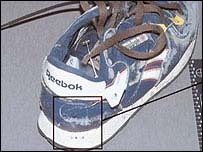 Somehow FSS scientists examining the clothes in 2000 had missed the spots which police now believed pointed to the brothers' guilt. Both FSS scientists, Sian Hedges and Owen Gayle, have said they cannot explain how they came to be missed. Miss Hammond said she was surprised the spot on the trainer was missed, but said a lot of items had been examined and finding blood relies heavily on a visual examination. "We are all human and occasionally, very occasionally, mistakes are made and perhaps a blood stain can be missed," she told the BBC. Det Supt Ephgrave was also "extremely surprised" to hear the blood had been found on items which had already been examined once. He believed it had given them the breakthrough they needed - firm evidence in a case with no eye witnesses. The defence picked holes in the evidence - suggesting that fibres from the school uniform were common in the area and could have been picked up anywhere. They had also suggested that the shoe and sweatshirt had been worn by other people or that they could have been contaminated in the lab. The Home Office has now announced an inquiry into why the blood spots and fibres were missed first time around. For its part, the FSS, which investigates 126,000 cases a year, pledged to contribute "fully and positively" to the review. "It had always been the intention of the FSS to hold a review of the work in this case, as soon as the judicial process was complete, in order to identify and implement any improvements that may come to light as a result," a spokesman said. He added that improvement was of "paramount importance" and they had already invested £20m on quality control this year. And the Met's murder review group is-examining other past cases, to see whether vital forensic evidence could have been overlooked by the FSS. Deputy Assistant Commissioner John Yates told the BBC it was important to know how it had happened and learn the lessons. 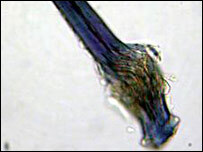 "These are very serious matters - it has shaken my personal confidence in forensic science," he said.